With so many disadvantages life presented to Gary Coleman, he had the worst of the worst to contend with it for 42 years. It's a time for all the media to leave his legacy and legitimate survivors alone and let them, his family, have the opportunity to deal with their wrongs toward him. He was, by the purest definition, a victim of the ills of discriminatory elevated unworthy tabloid junk journalism and parental greed. I offer no condolences to his parents because they were nothing more than abusers of his notoriety and monetary gains as a child actor. 'Rest in peace' is what I wish all will grant him. I am so devastated at the loss of Gary Coleman. I grew up with Diff Strokes. That was my favorite show on Thursday nights. I am about the same age as Gary so I could identify with him. I loved him and his friend Dudley. I feel as is a part of childhood is gone. Larry, could you please do a tribute show on GC and invite Todd Bridges, Conrad Bain, Charlotte Rae, Dudley( I think he is still an actor), maybe even include Janet Jackson. That would be a great show. I"m very sorry to hear about his passing. My prayers goes out to his family. I prayed for him and I hope God heard. I pray Mr. Colman finally found peace with the Lord. I'm so sorry to hear about Gary. RIP young man. Gary Coleman's life was filled with many adversities. He often aspired in spite of them. Lets hope the media will allow his family to grieve in privacy! Rest in Peace! Rest in Peace Gary Coleman. I think a biography of Mr. Coleman's colorful and courageous life would be very interesting to read. 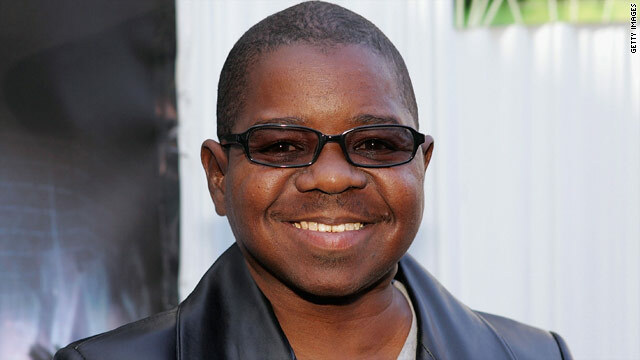 So sad to hear the news the Gary Coleman has died at the age of 42. Have fond memories of him and he was an inspiration as he never let his disabilities get in the way of living. Will always remember him as that cute little guy who entertained us and brought us joy. I believe him and Michael Jackson had a very special friendship and that Michael adored him. I have the images of them where they are doing these dance moves and they were hilarious. There are a lot of other memorable images of them that will stay in my mind. RIP Gary Coleman. Gone too soon. Will be sadly missed and never forgotten. Condolences to his family. I; am a lost for words. I ; am so sad that ; his life here was cut short. I ;am going to miss him.My heart goes out to his family and all who loved him.I;do not care who liked him; Mr.Coleman; was apart of my family growing up ; we could not; wait for the ;show to come on.I;am going to; miss his bright eye's and his laughter. He will alway's be in my heart and he will be an ACTOR that will never be forgotten.42 years old is much to soon to leave all who loved him. Please give my CONDOLENCES to his family and his friends and All of his Many; many fans.P.S. Now there are Three that are with All the stars up above; Michael Jackson; Corey Haim ; and now Gary Coleman Gone Too; Too Soon. R.I.P.now my Friends intill we meet again. A great humanitarian. Perhaps the greatest ever. Tears! Reading through all the above comments I find myself even more devastated at this news. He was a fighter with a heart of gold and I can't help but feel badly that he had so many disadvantages to overcome. The tabloids should skip their next edition in shame over the way they treated him. Gary often smiled through his pain and suffering; he was burdened with more than his share. Gone too soon, Gary, Rest in Peace. A very brave young man, you were so cute and funny in Different Strokes. RIP Gary. I think the press and the tabloids help push him to an early grave. gone way too soon.....RIP Gary! A sad way to end a tormented life. Let us hope that you will finally find happiness. You know, both Gary Coleman died of a brain hemorage and Bret Michaels also claimed he had one also. In my opinion God took the wrong one from us. I guess Gary should have worn the cowboy hat with the cross on it. Larry, Id like to hear how Conrad Bain is doing the father figure for "Different Strokes" is doing now days. The last I heard he had a odd heart or chest pain condition back in 2008. Is he still alive. Id like to hear how he is doing now days and what it was like to work width Gary Coleman. Also the parents of Gary Coleman an interview would be nice they now want answers to their sons death. It would be nice to do a show with both of them and Conrad. Also Shannon his wife. RIP Gary Coleman....you will be missed. My dad loved to watch you on TV. "What you talking about Willis?" was a catch phrase at our house. Sorry that he was misunderstood, used and ripped off in this life. I hope he has gone to a better place. Incredibly sad. I only discovered diff strokes last year, as I am half of Gary's age. His life was marked by so many hurdles..it is just so sad. I really think that children should be banned from the entertainment industry, as the majority of child stars suffer later on in life.